Vending machines automatically reorder when low filling level is reached | Solutions package monitors current cash inventory and raises alarm on burglary attempts | Cashless payment by cell phone attracts wider customer groups. Deutsche Telekom will present its new M2M commerce solutions at the vending machine trade fair Eu’Vend from September 19 to 21 in Cologne, Germany. In hall 9 at stand D-010, Deutsche Telekom will demonstrate innovative solutions which enable vending machine operators to better monitor and operate their sales machines and to convert to cashless payment by cell phone. Deutsche Telekom’s innovative M2M solutions simplify not only the processes, but also have a direct impact on sales and profits. For example, vending machines can automatically reorder when low filling levels are reached, thus enabling the vending machine operator to optimize the refilling process. The solutions package also monitors the current cash inventory and raises alarm if there are any burglary attempts. This results in a considerable reduction in downtime due to faulty machines or empty product shafts. All existing machines can be upgraded quickly and easily with a corresponding module. The module transfers the collected vending machine data to a Vendon server via a mobile communications connection in Deutsche Telekom’s high-availability network. Vendon is a Deutsche Telekom solutions partner. The data is processed and can then be displayed on the vending machine operator’s PC via web browser or it can be processed further by using corresponding enterprise resource planning (ERP) systems. Vending machine operators can also compare the data collected to draw further conclusions in order to optimize locations for example. Measures to promote sales such as price adjustments can be carried out remotely and their impact can be recorded online. Deutsche Telekom will also demonstrate a further step into the future of mobile payment: Existing vending machines can be upgraded to enable cashless payment using an NFC-capable cell phone. This means that it will always be possible to buy softdrinks even if you are out of cash, with bonus programs and even social vending (campaigns via social networks such as Facebook or Twitter) being possible in the future as well. Today, Deutsche Telekom is one of the leading international providers of M2M services as a result of its long-term experience and it sees machine-to-machine technology as a central growth area. For this reason, the company has relied from the outset on an international partner program, which today counts more than 600 companies from 56 countries. 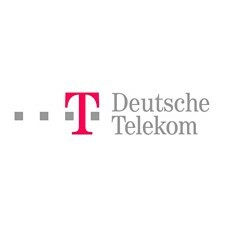 Together with partners in lending and banking, Deutsche Telekom is developing solutions in the area of payment for simple and secure payment by cell phone using NFC technology.